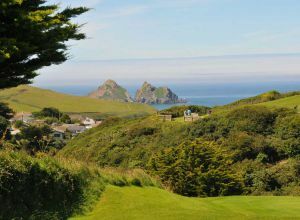 Newquay’s Holywell Bay Golf Club is open 364 days of the year and offers a top-quality 18-hole Par 3 Golf Course and a stunning 18-hole Pitch and Putt. We aim to provide all our guests with a welcoming and friendly game of golf in a breath-taking setting. There’s no dress code and no need to book; clubs and balls are even included at no extra cost (although we do ask for a deposit on the balls)! 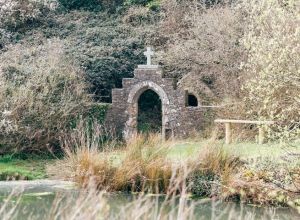 Our Golf Club is situated just 4 miles from Newquay on the north coast of Cornwall and is easily accessible from the A30; visit our ‘how to find us’ pages for more information on travelling to us. Travelling from afar? 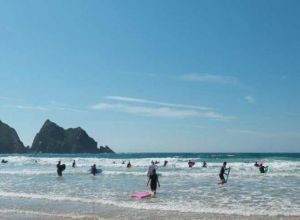 For local information and advice on where to stay, please visit our Area Guide pages. You can keep up-to-date with happenings at our Golf Club via our Facebook and Twitter pages. We also have a Blog page with lots of interesting articles and golf related news. We hope you find everything you are looking for, but if not, please contact us and we’ll be happy to help.